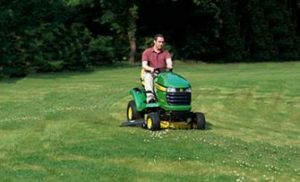 Is the Victa mower now dead as Aussies want different things from their home? Is a pool a great asset which adds value to a property or just drain on the pocket requiring lots of maintenance? New research shows that this generation of Australians want different things from their homes than their parents did. Where once a white picket fence and large block were such powerful goals that many Australians were prepared to commute a long distance and spend a lot of time on home maintenance. Now, many more of us want to live in the inner ring of our cities with relatively short and easy commutes so that they can enjoy a more varied lifestyle. According to research from HSBC, 82 per cent of Aussies prefer a great view to having a pool. And the average size of a new home fell to 186.3 square metres in 2017-18, bringing home size for new dwellings to a 22-year low, according to research compiled by CommSec. Lifestyle factors are increasingly playing into people’s property choices. Baby boomers are downsizing and enjoying more urban lifestyle; similarly younger Australians are preferring to be nearer cities, beaches and other amenities. While property is always going to be a long-term investment. Yesteryear’s winners will not necessarily be the winners of the future. It pays to research demographics when it comes to property investments.